I worked in a textiles plant, converting colored designs into black negative plates for color printing. I was a Romita’s Raider in the Marvel Bullpen and I operated a porcelain press that separated porcelain clay out of a mud called “slip” used for making electric insulators. Megas XLR, I was there from its’ infancy, I helped with the pre-pilot and was hired on as a prop designer when it finally got greenlit by Cartoon Network. That show is the reason I moved to California. Beavis and Butthead Do America was my first big break. I showed the art director my portfolio and he like what he saw so he had me do a BG test over the weekend. With test finished, I came in on Monday and he wanted to hire me on the spot but the producer said I had to take a layout test. I had no clue how to do layouts but learned while I took the test and got the job. My name is Boris Zhitomirsky and until recently my occupation was Interactive Designer in advertisement company. Now I am looking for another occupation to occupy. At some point I was working in a Drama Theater as a stage designer and pretty soon started to spit out the pieces of my lungs after using all these high pressure sprays. No, no, no. It wasn’t the illegal graffiti at all. The only problem is that it was making me a little sick. Now I see it wasn’t actually the crazy job. That was a cool job. The crazy job was to work in a hospital. I am not sure why but at some point I was accepted to the Med School and after spending a few years between reading the tons of books and cleaning after the sick people I got a license to treat them. And I did for a while. As a young Doctor I was working in Labour and Delivery unit, you see, and my personal record was 7 C-Sections in one night. That was crazy. I decided that after reaching this height in the Medical Field there is nothing else for me to do and promptly I took off. And live happily ever after! Some people might find it not worthy, but I am kinda proud of being part of the team working on “The Adventures Of Chico and Guapo” ( for MTV2). Not sure why but we did only one season. Still, it was fun to work with many talented people. I was born in USSR. That was a country before it became Russia. Now it is becoming USSR again. You might have heard of that country once or twice. So, when I was a little boy we had a black and white TV sets and only 2 channels. During the Summer time at 7:00 pm they were showing “Tom and Jerry”. I have no idea how the government of the USSR gave an approval to show the American Cartoons to the gentle Socialist kids. But we were internally great full for this opportunity to watch “the cat and mouse” and later on a playground to reenact it as well. I was 4 or 5 years old. And then I saw “The 7th Voyage Of Sinbad”“ by Ray Harryhausen…I guess that’s when I realized that no matter what Siberian prison I might end up, but I want to be an animator. Anne D. Bernstein, Animation Writer and Story Editor. 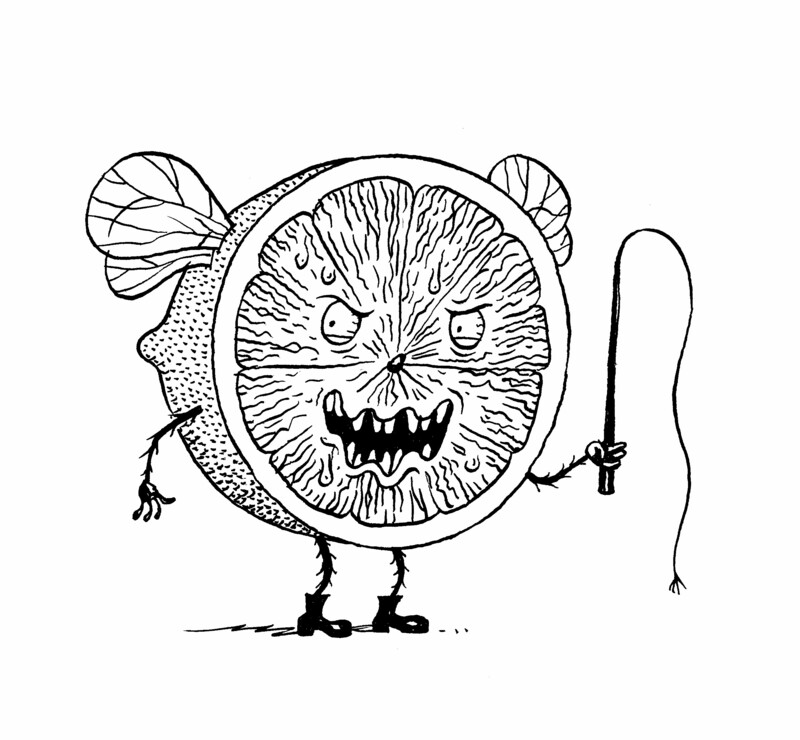 I am also an illustrator. I had a lot of art jobs. My first job was changing prices on menus. This was before graphic design went digital. I actually had to cut out individual little prices, wax them, and put them on an acetate overlay and line up the dots. Computers made paste-up obsolete but I still miss the smell of rubber cement. I also designed novelty jewelry in a factory in Sunset Park where the main distraction was buying lottery tickets at lunch. Definitely Daria. It was a perfect match for my comedic sensibility. The people I worked with were talented and intelligent–especially Glenn Eichler. Also, I have a younger sister and our relationship was very much like the one between Daria and Quinn. And what a joy to be encouraged to be both funny and insightful–not to mention the fact that the show hadsubstance! I am also very proud of MTV Downtown. It was a very innovative unique show that did not get treated well at MTV and was cancelled way too quickly. At the time I did not realize that it was capturing New York City at a time right before a huge transition–the East Village was actually still funky, crummy and relatively affordable back then! My name is Ivan Aguirre. I am a Background Painter at Titmouse. Currently working on Disney’s new television series Motorcity. After high school I worked a job in construction. It was a lot of hard work, but at the same time very rewarding. I enjoyed the freedom in working with my hands, and being outdoors. By the end of the day I always came home tired, but felt accomplished. I learned quickly that it wasn’t for me, and decided to go to school and study animation and design. I continued to work construction part time while I could while I finished my degree. I am proud and very exited to be working on Motorcity! The design team is top-notch, and we are all very proud and exited for everyone to see it ones it airs. Its one of the coolest television series I have seen. Last summer I got to work on some title designs for NBC’s Up All Night. It was a lot of fun because the style and art direction was based of some of my personal Illustrations. In animation usually you are forced to design in an already set style. Also for most of last year I got to design for MTV’s Good Vibes. It was one of my first experiences in working on a primetime-animated show, and was given a lot responsibility. Our crew was very small, and I got to design a huge range of stuff. It helped me become a better designer. No “crazy” jobs! Just dull ones. I used to do paste up and mechanicals for advertising and publishing. Yawn. I drew storyboards for a little known show for Cartoon Network, called “Squirrel Boy.” I had a lot of creative freedom and enjoyed being able to work with the writers on the story. It was very satisfying to create an entire chase scene, for example, without specific direction from the script. I think storyboard artists should be trusted to integrate more of their visual ideas by actually working with writers and not just be confined to following a script to the letter. I also enjoyed directing Beavis and Butthead, because these are two characters who are actually funny. When I can get them to do physical humor, it’s great fun. The new shows that will be coming out are a bit more complex than those early shows. 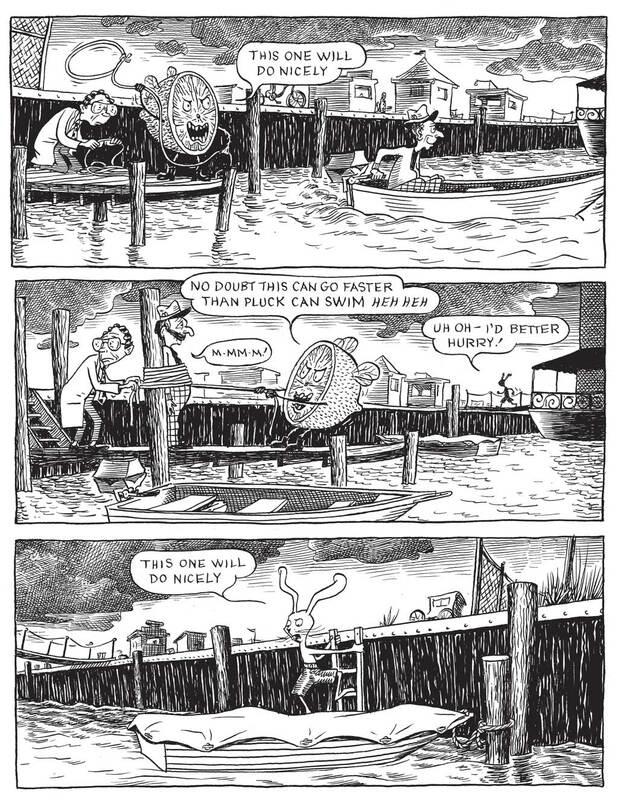 I was a fine art major, and even went back to graduate school in fine art, but I started getting into drawing my own comics, which made the transition to animation a little less abrupt. I lived in New York for most of my adult life. I was a latecomer to animation- I did not get my first job until I was 34. A friend of mine who worked at MTV Animation told me they were looking for storyboard artists, so I showed them my sketchbook and my comics, and I was hired as a storyboard revisionist for Beavis and Butthead. I probably could not have gotten hired if it had been a more sophisticated show! As a storyboard artist, I spend a lot of time drawing on a cintique, with the script and designs in front of me. Sometimes I have to meet with the director and the supervising director to go over my thumbnails and make necessary changes. As a director, I spend more time coordinating my ideas with the design department. I look over the storyboards and make necessary revision notes. When I have time I draw out some thumbs for storyboard artists for specific sections. And I give specific directions to the timer, and review them when I get the exposure sheets back from the timer. I like being paid to draw and I love the art of film, so it’s nice to get paid to do it. I don’t like working on scripts have formulaic plots and uninteresting characters, but that seems to come with television shows sometimes. I don’t like it when I have to draw what I consider ugly character designs, because I have to do it many, many times when storyboarding. I work with Storyboard Pro on a Cintique almost exclusively. It’s been interesting working with Mike Judge and Matt Groening, I get to see how show creators work and think. I would say…. a couple of years ago, I simply could not find work. I was on unemployment for a long time, and it was affecting me in a bad way, I was very nervous about money. I was taking many storyboard tests, and I even took a test for a show that I had already worked on. I couldn’t get a hold of anyone to confirm that I could e exempt from a test. They said I had to take a test because the show no longer had layout artists (as is the case everywhere nowadays.) Imagine having to prove yourself as if you were a newcomer, though you were not. This is why it is so important to network with friends and let everyone know your status. It’s much more difficult to get a job from the outside. And save, save, save, because you will get laid off, if not sooner, then later. Be prepared. 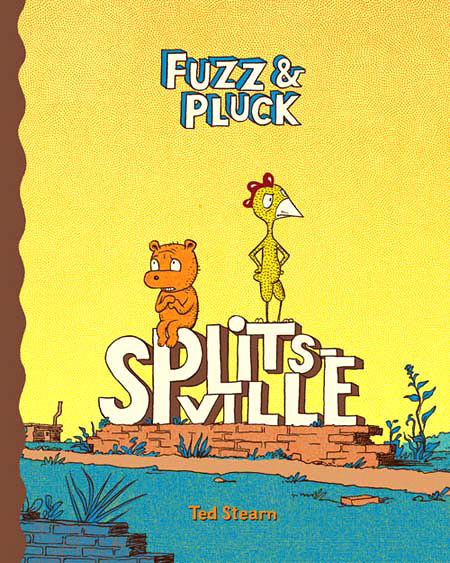 I draw and write my own comics, it’s called “Fuzz and Pluck.” You can find it online at my website tedstearn.com, or go to my publisher’s site, fantagraphics.com, and look up my name under “artists.” It’s about a teddy bear and a plucked chicken and their adventures. I think it is important to always have one’s own projects in the works, it helps balance out working under others’ ideas. With my own work, I have complete freedom to do what I want. I’d like to think of myself as an auteur, and I want to stay that way! Before you apply for a job: 1) Try an internship if possible. Nothing beats it for getting your foot in the door, and seeing the industry from the inside. (I wish I did it!!) 2) Make sure you have the strongest portfolio possible. Show it to your friends and/or teachers and ask their honest opinion. 3) Learn as much as you can about the craft of animation. Find the experts and learn from them any way you can. 4) Be familiar with the software that is used in your area of interest. Although, animation savvy is more important than software knowhow, in my opinion. 5) Try to meet people in the industry, and don’t be afraid to ask for their advice and help. That said, connections to people in the industry is important, but if you don’t have the chops, it still won’t get you where you want to be.